Man Traps A Cat, But Then Gets An Unexpected Surprise That He’ll Never Forget… My Heart Melted! 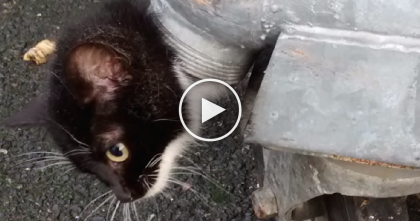 It was getting VERY cold outside and this kind man noticed a black stray and feral kitten. He could tell that if he couldn’t rescue the poor kitten, the cold weather would most likely kill the poor kitten. He finally was able to trap the kitten, but the kitten wouldn’t come close to him. Then finally at 8:05 in the video, something wonderful happens and this kitten discovers love for the first time. 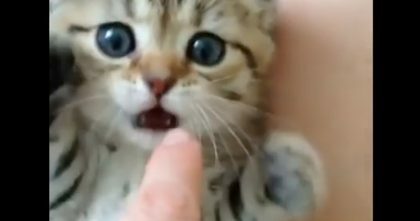 This adorable tiny kitten is TOO cute for words… Your heart will just melt when you see this, omg!! 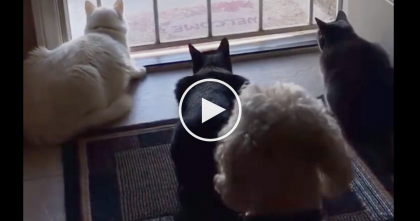 She Was Recording Her Cats Watching The Birds, But Then Doggie Walks Up… I CAN’T Stop Laughing! 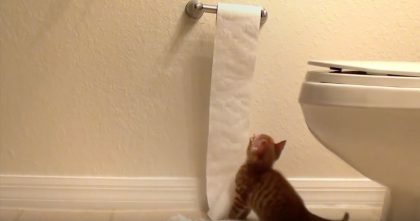 Little Kitten Discovers Toilet Paper For The First Time, But The Results? 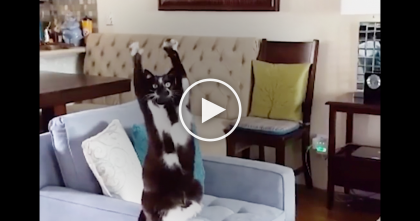 Just WATCH What Kitten Does! !